It's no secret that slip-on sneakers are a huge trend, and have been for quite some time now. But they're far from being new—skateboard/sneaker brand Vans originated the style way back in 1977; in keeping with the casual-chic aesthetic that's taken hold in the street style, blogging, and fashion communities at large, its resurgence is simply a variation on a theme. They will continue to make their presence known well into fall, and some styles are already starting to hit the digital shelves not only at Vans, but also with higher-end brands like Opening Ceremony, Saint Laurent, and Tod's already dropping new designs. We did the grunt work for you to come with 19 solid pairs you can shop now to get your fall shoe cache ready for battle. 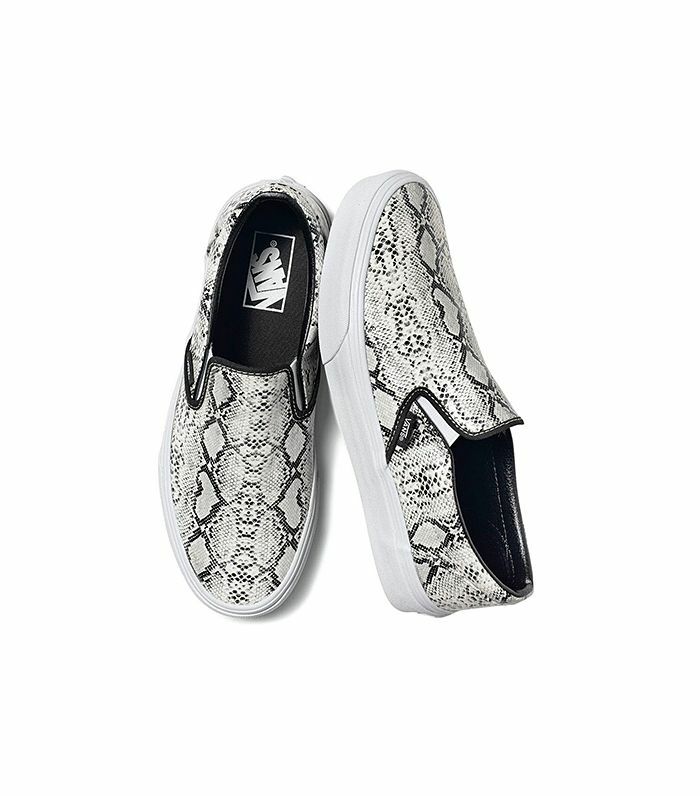 Scroll down to shop our favorite new pairs of slip-on sneakers!